At the beginning of the week we saw Nvidia launch its first new generation graphics cards in over two years. 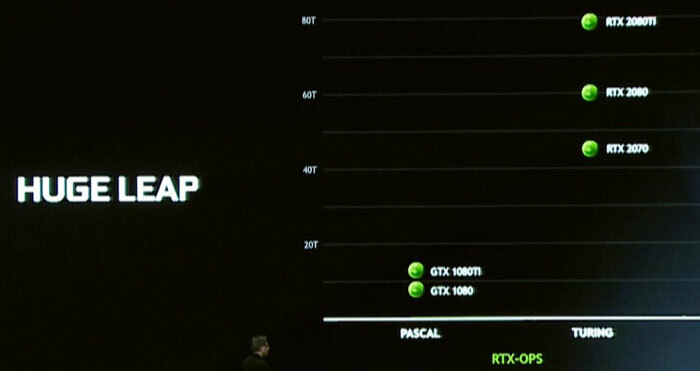 The new Nvidia GeForce RTX 20 series offered a huge leap, according to the presentation at Gamescom 2018, in 'RTX-OPS'. Thus much of the presentation focussed upon the new RT-cores for raytracing, Tensor cores for AI processing, and little on the SM cores that are so important to older and current gen 3D PC games. 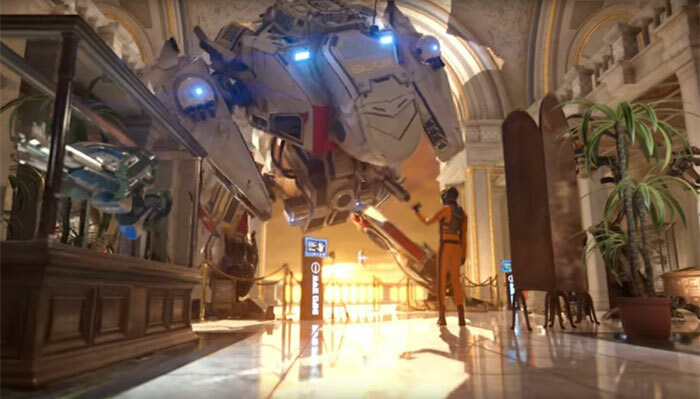 After worrying frame rates were spotted in an RTX enabled game running on a GeForce RTX 2080 Ti (on a 1080p G-Sync display with this raytracing feature turned on) PC gamers became concerned that Nvidia had squandered the last two years implementing a headline feature that wasn't that practical. 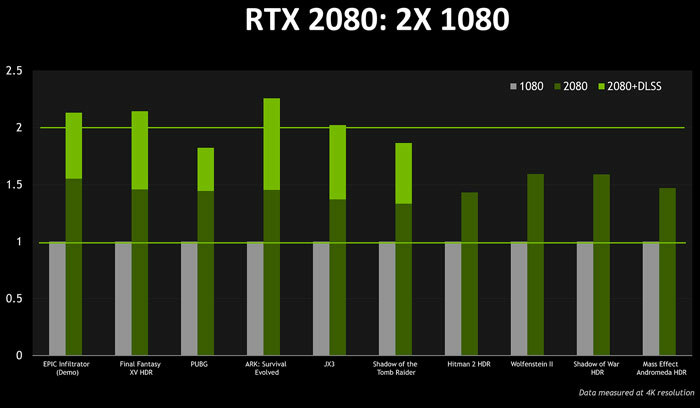 Thankfully, the green team addressed the worries directly be allowing us to share a chart comparing the new Turing GPU-packing GeForce RTX 2080 with its Pascal packing predecessor, the GeForce GTX 1080. In Nvidia's own tests (see chart below) in its carefully selected games this showed that the SMs had not been neglected but could deliver modern AAA 4K gaming at up to 50 per cent faster speeds. Moreover, if users turned off TAA in favour of DLSS, which leverages the Tensor cores, some games ran twice as fast. So far we have seen RTX effects in Nvidia supported RTX titles toggled on and off but it would be good to see a third party benchmarking tool that tested DXR (DirectX Raytracing), a new feature in DirectX 12 that could become the standard for PCs and Xbox consoles. Above you can see the UL Benchmarks' 3DMark Time Spy with a raytracing update, as demonstrated back in March at GDC. UL wrote that it built the updated Time Spy "using raytracing to enhance reflections that are difficult to achieve with traditional techniques." Importantly, it added that "Our demo runs in real-time on a single current-generation GPU." TechSpot asked UL Benchmarks about the release of its raytracing enabled benchmark and it replied that the release will "align with the launch of Redstone 5". That is better known as the Microsoft Fall 2018 OS update, which is expected to arrive late September. The timing sounds tight, but the benchmark might arrive just in time for comparative reviews of the first shipping GeForce RTX 20 graphics cards. It all just keeps getting better and better. Pretty soon we'll be able to do fully lifelike reproductions.